I want to point out that it is not a stretch for me to say that I have a good internet connection, even though I cannot connect to web sites with the standard non encrypted web browsers I tried. So how can I be so sure my internet connection is Okay you may ask and that would be a good question. The reason is because I can bring up websites in the TOR browser which uses encryption and anonymity of numbers to hide your internet connection. This means that In my case, the internet cannot be intercepted and isolated. “The variety of people who use Tor is actually part of what makes it so secure. Tor hides you among the other users on the network, so the more populous and diverse the user base for Tor is, the more your anonymity will be protected”. “Using Tor protects you against a common form of Internet surveillance known as “traffic analysis.” Traffic analysis can be used to infer who is talking to whom over a public network. Knowing the source and destination of your Internet traffic allows others to track your behavior and interests. This can impact your checkbook if, for example, an e-commerce site uses price discrimination based on your country or institution of origin. It can even threaten your job and physical safety by revealing who and where you are. For example, if you’re travelling abroad and you connect to your employer’s computers to check or send mail, you can inadvertently reveal your national origin and professional affiliation to anyone observing the network, even if the connection is encrypted”. Okay, so if the internet connection is good, why can’t I access the internet with any of three unsecured browsers I tried? The answer to that is interference by a third party who is apparently observing and controlling my internet connection in real time from a remote location in this instance at least. Matching the symptoms of my unsecured browser synchronization error problems with what Snowden has revealed to us on Government hacking of individual citizens computers, my internet appears to be routed through a proxy server with the specific intent of micromanaging my internet traffic on an individual basis with MAL-INTENT. 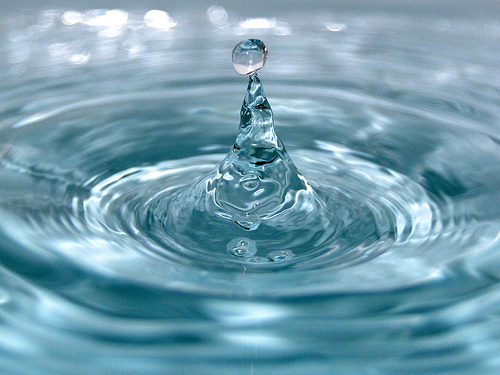 That is my internet data is being slowed to a trickle in the same a faucet controls the flow of water. As of this time my internet traffic through my unsecured browser is being constricted so that only tiny bits of data get through even though I am given the indication that I am connected to my $50/month high speed data connection. Further, since I am under an extreme form of surveillance, every minute of every day, since this is not the first time this problem has occurred, but is only the first time I have been able to prove it since discovering it in 2010. Yet this attack is still a deniable black operation by the Government since I can’t prove it is specifically an intelligence agency representing the Government doing this to me. Yet only the Government has the Technical and financial resources to carry out an operation such as this. Following the logic further, it can be seen that the intercepted and restricted data flowing through my unsecured browser is not only just being monitored, but it is apparently being restricted to harass me in a covert psychological operation (PSYOPS) aimed at neutralizing me. The only way I am able to access websites at all is because, for now anyway, I have circumvented the Governments attack by using TOR browser and a Virtual Private Network (VPN). Yet, I am no match for the full force of the Government being brought to bear on me as an individual. I fully anticipate and expect further attacks aimed at counter attacking my work around, since the attacks on me are ongoing and adaptive to my actions. Since I have been under the EXTREME form of surveillance since 2010, this is not an anomaly. So the Government not only believes I am the enemy, It is waging war against me as the enemy. This data CONSTRICTION PSYOPS is apparently at the whim of the Private Government Contractor, working for a private company under Government contracts. In this case I have proved it and it is not just my opinion. 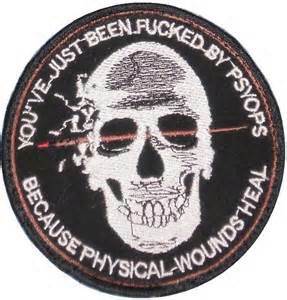 In case you are unaware of it, Psychological Operations is a tactical aspect of the WAR being waged against me. The Government Contractor doing this to me, indirectly represents the Government through a private company and is waging war against me. Can we not then conclude that since I am not a high value target, this is a general war being waged against the American Public? I haven’t heard that congress has passed a declaration of war against the American Public or have they? Congress passed The Patriot Act and the National Defense Authorization Act which specifically authorizes these actions! Therefore we must conclude that the United States Congress, using the Patriot Act and NDAA, has made a declaration of war against the American People. This is true even if the people are asleep and don’t realize it. This means that my TOR connection is safe from the Government to at least some extent which prevents them from slowing my computer down. This is saying a lot when you have to actually be concerned with the prospect that the Government not only wants to interfere with my internet usage, but is doing so. This puts the American people at a big disadvantage and which it seems is a big hurdle to overcome. I used to be someone who never used to think that my government would do anything to hurt the citizens. I actually believed the Government wanted us to succeed. But now that view has all changed and 0actually It is just the opposite of the way things really are. The Government not only wants me to fail, they have hired sociopath to watch me every minute of every hour of every day. No I am not crazy nor am I paranoid, but I am a Citizen who has been targeted with an extreme form of surveillance. It is so extreme it and distinctive I am watched by one of these sociopaths aka private Government Contractors. They make upwards of $100 dollars per hour and follow me around like bounty hunters, which in a very big way they are bounty hunters. There are hundreds of thousands of innocent citizens targeted in this way. They call themselves Targeted Individuals aka CAST IRON TARGETS by the NSA. It is so hard to understand and imagine why the government would be doing this that many TI’s have been diagnosed with mental illness for even talking about it. Its not until you start putting some other things the Government has done to the American people do you realize that what is happening to me is a symptom of an actual war on American Citizens. You might think that surely there cant be that many people could be targeting innocent people like bounty hunters. If I hadn’t the knowledge of why this can and does happen I wouldn’t believe it either. It turns out that sociologist Dr; Stanley Milgram in 1963. His was the most famous study on Obedience to Authority Study. Stanley Milgram, a psychologist at Yale University, conducted an experiment focusing on the conflict between obedience to authority and personal conscience. The Stanley Milgram Experiment was created to explain some of the concentration camp-horrors of the World War 2, where Jews, Gypsies, homosexuals, Slavs and other enemies of the state were slaughtered by Nazis. Even though thousands of German concentration camp guards were in fact found guilty and hanged, many of the war-criminals claimed they were merely following orders and could not be held responsible for their actions, in the trials following World War 2. This was an outrageous idea which people have been talking about like there was something wrong with the answer. You can just wade in and get to the bottom of it if you don’t mind a few hurt feelings. Actually everyone knows the answer, yet it is considered to shameful to talk about. The problem lies in the fact that they would not have gotten anyone to volunteer if they told them they would also receive an intelligence test and that was what was being measured. As it turns out the people who would kill someone based on the say so of an authority figure, were in fact morons. The Merriam-Webster dictionary defines moron – Full Definition of MORON. 1 usually offensive : a person affected with mild mental retardation. 2 : a very stupid person. These people are usually hired because of the fact they are morons and will do anything they are told by those who are in charge and they are often called stooges or toadies. This is especially true of sociopaths who will do anything for money, since they doing the right thing is not what they are about anyway. Companies who wish to do illegal things do not want people who think for themselves. They in fact want obedient workers who many call “DO AS YOU ARE TOLD GUYS”. They are typically just smart enough to run the machines and do the paperwork but to stupid to think for themselves. So as it turns out these stooges are perfect for subjugating people like cattle and human trafficking them for human experimentation. A simple explanation is that it is difficult to experiment on humans so when the CIA experimented with MIND CONTROL since the 1950 and found that people could be controlled and trafficked using electromagnetic radiation they jumped all over this as a solution. Corporations are now working along side CIA and NSA employees and the line between business and spying has been blurred. Many business leaders and Spy Agency leaders are in fact psychopathic or very sociopathic. Now that advances in science and technology have taken experimentation out of the lab and into the home. Times have changed and experimenting on humans is easy and cheap if you don’t care about the people you experiment on. They feed, cloth and care for themselves so there is no overhead, just the cost of the actual experimentation. The people who do the experimentation are ruthless overseers who are told to use the people as they would use a lab rat, without mercy because life is considered cheap since the company is not taking responsibility for injury or death. The US has typically used the third world as a place to exploit people and the environment. But now, the US has just about run out of places they have not exploited and have actually began using the citizens for their experiments since they are doing human research and no longer need to extrapolate from monkey experiments The CIA and NSA and FBI have used unwitting human experiment victims before, but not until now could humans be used and trafficked with impunity. They are so sure that people will not find out that they have a whole industry devoted to it, for which a thug class of stooges operate with impunity for the ruling class. This was a lead up to the fact that I am a targeted Individual. This whole thing reminds me of a book I read as a youth called The Lottery, where every year some unlucky person was selected to die for the good of all. Also the hunger games is a movie based on that as well. The rich depend on morally bankrupt stooges to do their dirty work. These people are handlers after the animal handlers who work in laboratories. It is these handlers that are private government contractors. If they survive, the money is good. But their lives fraught with peril as they try to keep people subjugated. I have personally found a meter based on smartphone technology using the android cell phone as a directional meter. So yesterday, I felt compelled to leave my house due to electronic harassment and decided to go to the Book Store down the street for a while. Discovered credible evidence that spy agency technology was being used on me which I had known for a long time. This time however I was able to successfully record the screen of my computer in order to catch my handler breaking into my computer. This also gave me insight into why he was doing it. I thought, surely it couldn’t be solely for harassment and there must be some other reason. This was to methodical and seemingly complex for mere harassment. At this point you should have seen the above video which shows clearly what happened and why I think it is human experimentation for the purpose of reading our minds actually. Certainly it was to give me a puzzle to solve and they to evaluate not only how I solve the puzzle but to try to read my thoughts as I try to solve the puzzle. It turns out that the CIA has been doing brain research for years to do that very thing. I have written a lot on this subject but am always attracted to come at it from another angle. I suppose I could put it all together into a book but that will have to wait for as I say :::: The first day of open season on Domestic terrorists with no bag limit. That day is coming sooner than later. People are waking up and the blow back will be GALE FORCED. When the people actually realize there are people out there who are torturing people in their homes, I shudder to think what will happen to the stooge sociopaths who are the torturers. They wont be able to get at them fast enough. In fact I have often thought that they would have to beg to be taken into custody for their own protection. For right now however it is still torture as usual.